This entry was posted in Books, Geekery, TV and tagged deep space nine, science fiction, scifi month, star trek. Bookmark the permalink. 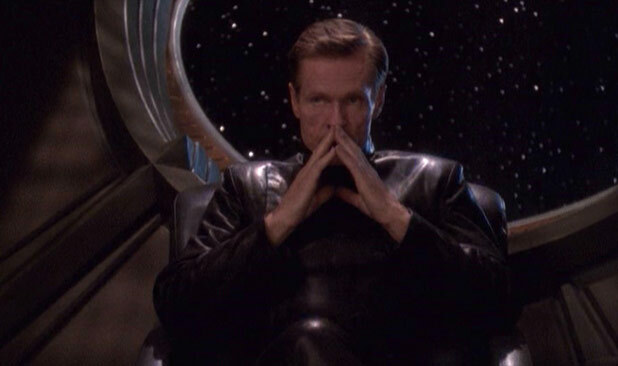 In regards to the secret agency of Section 31: I still haven’t gotten into Star Trek episodes so I don’t know about this society… But ohmygoodness is that William Sadler I see? I agree with you completely, I would love to see more growth in secondary characters in books. If I have to read a whole series to see it, that’s fine with me! I agree about seeing those larger shots of a ship or station that then zooms into the inside! So neat! But when you’re contained and in the middle of space, bad and scary things can definitely happen! And yep, that’s William Sadler. He’s in a few episodes of DS9. 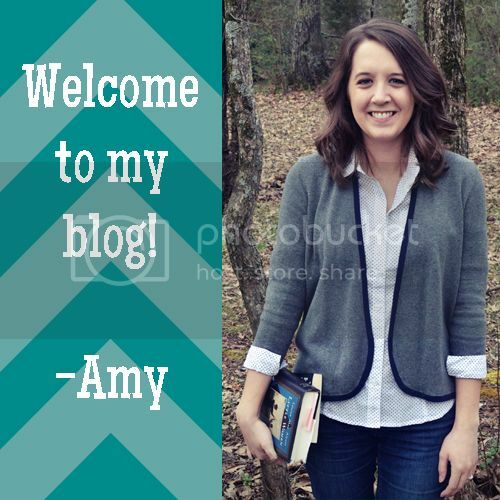 Great post, Amy! Right now my husband and I are about halfway through season 3 and we’re both just like O_O with every new episode we watch! Things started off slow, but they’ve picked up speed rather suddenly, and I’m loving it! 1. I have to agree. At first, this was actually one of the big reasons I was hesitant to watch DS9. Set on a space station that doesn’t move? Bo-ring. But no, I was wrong. This really does have a different feel to it, with the bar and everything, and it’s been interesting to see the visitors they get and the conflicts that arise because they are stationary. 3. Yes! 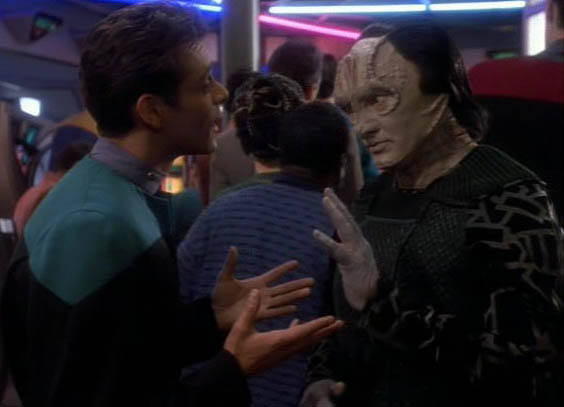 The tenuous friendship between Bashir and Garak always amuses me. You can never tell if Garak is being truthful or trustworthy, and it lends such an interesting dynamic to the episodes he’s in. I still wonder why he’s taken such a liking to Dr. Bashir, though. Maybe he’s just an easy target because he’s friendly, and prone to want to help people because he’s a doctor? I also appreciate the way Star Trek includes pretty nice arcs for secondary characters. 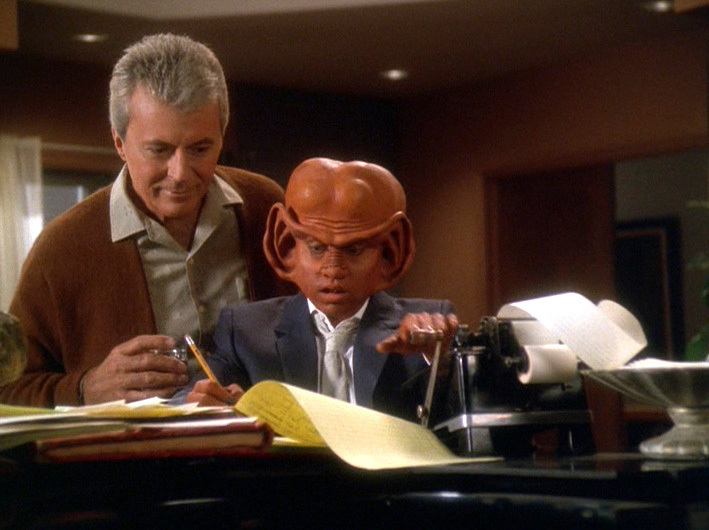 I’m VERY curious to see what that episode holds in store for Nog! After having loved episodes of Trek where they go to planets I was definitely worried about the space station thing! Just buckle up your seatbelt, Kelley, is all I’ve got to say! I’ve never watched Deep Space Nine, but I loved this post! I can’t decide which number is my favorite, they’re all great elements. The story I’m working right now on is set in space and I’m definitely going to use this post as a bit of inspiration. Oh good, hope it helps you! 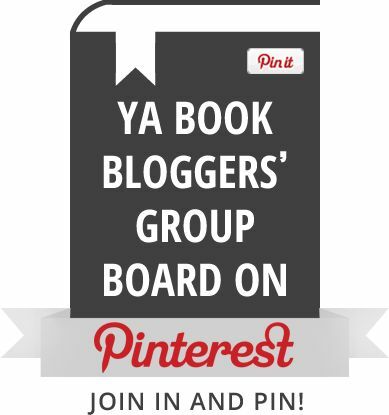 Oooh, a YA book about life on a space station… I’m sold! And secondary character arcs are a YES too. I really need to sit down and watch Star Trek. I’m planning on starting with Voyager – I just have waaaay too many TV shows on the go at the moment. It’s hard to catch up with so many good shows out there, I know! Voyager is not a bad place to start… It feels more like classic but has the advantage of being a little newer than most of the other shows. Deep Space Nine is my husband’s favorite Star Trek Series. Thanks for the reminder… I need to watch the series again! I think a book with a space station setting would be pretty awesome. 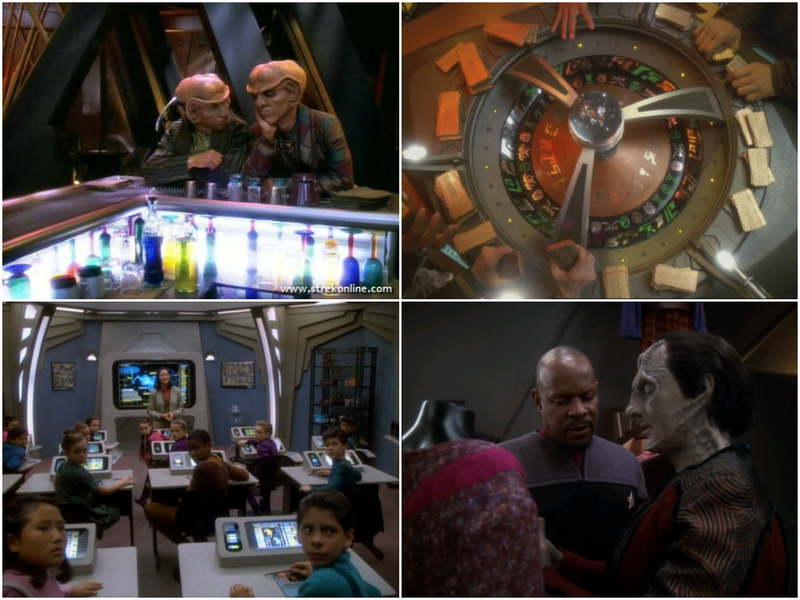 I haven’t really watched much of Deep Space Nine, a few random episodes, but I did enjoy what I saw. I alos love the story arcs for secondary characters, it’s always nice to learn more about different characters. Yes, I always love strong secondary characters! 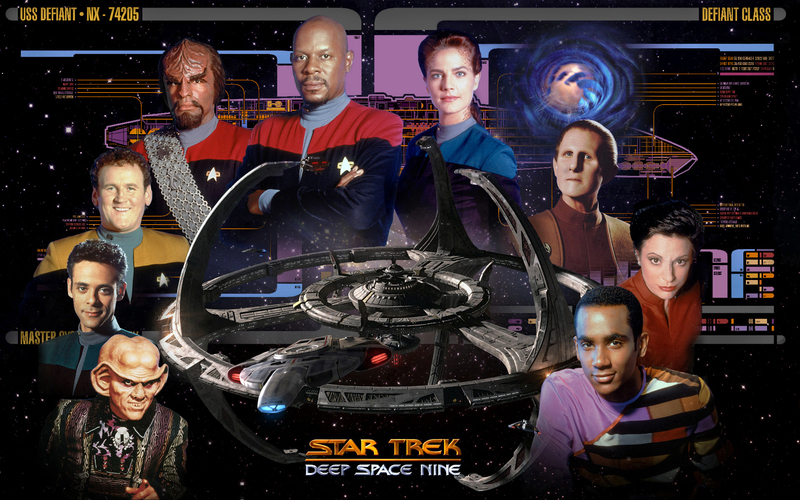 DS9 is my second favorite Star Trek show, after TNG. But I have to admit that DS9 has better characters. It also has continuous plot lines which TNG didn’t really have. I also enjoyed all of the aspects that you list here. In books I tend to like the secondary characters more than the main character(s); maybe authors feel that the secondaries can be more quirky than the main characters? Anyway, when I read your fourth point, two series popped to my mind where the secondary character change and grow quite a lot: Lois McMaster Bujold’s Vorkosigan series and Elizabeth Peters’ Amelia Peabody series. Vorkosigan is science fiction and the first two books are in the omnibus “Cordelia’s Honor”. The Amelia Peabody series is historical mystery set in the Victorian times. Amelia is an amateur Egyptologist. The first book is “Crocodile on the Sandbank”. However, the secondary characters don’t get their own books. I do like TNG, but I just love the character and story arcs in DS9. I do think there is something to your theory about authors feeling like they can create more quirky secondary characters, as I tend to do that in my own stories. I’ve never heard of the series you mentioned but that’s great that the secondary characters grow a lot in them! I tend to really like secondary characters (heck, even in my NaNoWriMo story, my favorite characters are the secondary characters 😛 ), so having arcs that are dedicated to them would be really nice. Thanks, Lesley! And um yes, the first character I have fallen in love with while writing my NaNoWriMo story is one of the secondary characters, so I understand that!